The Scoop: Your mental health can impact everything in your life from your job prospects to your personal relationships. Yet the subject of mental health often goes ignored when discussing dating issues. Dr. Karen Ruskin puts a spotlight on this subject when counseling clients. Recently, local news station NECN reached out to Dr. Karen to recruit her to lead an innovative biweekly segment on good mental health. She can now share her thoughtful analysis and tips with a larger audience, and she said she’s excited to be at the forefront of the movement to destigmatize mental health issues. Thanks to modern technology, young people have more ways to connect than ever before, yet many feel disconnected. They post, they like, they text, and they email, but, throughout it all, they’re keeping a screen between themselves and others. They’re filtering their image and avoiding vulnerable, face-to-face conversations. Nowadays, it’s become increasingly difficult for singles to separate the idealized fantasy of an online profile from the gritty and imperfect reality of a person. Authenticity is hard to come by, especially in online dating where a majority of singles lie about themselves, and that makes building a genuine relationship challenging. Not to worry, though — it’s not all bad news for modern-day daters. Singles on a quest for authenticity and connection can always turn to psychotherapists who specialize in relationship dynamic issues, like Dr. Karen Ruskin, for the answers to their most pressing questions and frustrating challenges. 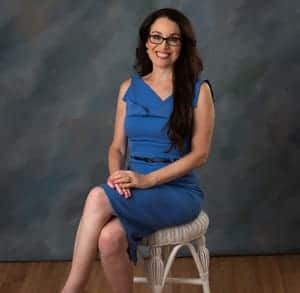 As a therapist based in Massachusetts and on TV locally and internationally, Dr. Karen has established herself as an authority on how mental health issues impact dating, relationships, and overall happiness. Television has the potential to be an instructive and enlightening tool, and yet it’s mostly used as an escape. Millions of viewers get lost in pure entertainment and fantasy without adding any true, lasting value to their lives. And those who watch the news may not fare any better. Local and national news segments will often make viewers aware of a problem but offer them no avenue or recourse to do anything but worry about it. Dr. Karen Ruskin has appeared as a guest relationship and mental health expert in local and national news segments. Generally speaking, television shows and news outlets can overload and overwhelm the senses without providing a concrete, positive impact on people’s lives. Dr. Karen aims to be the exception to that rule as a regular guest on a 24-hour cable news network in Newton, Massachusetts. 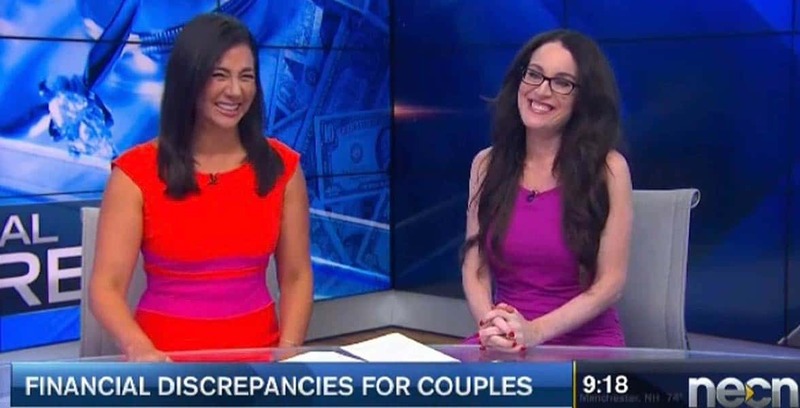 New England Cable News (NECN) anchor Joy Lim Nakrin and Dr. Karen teamed up less than one year ago to provide a biweekly mental health segment. During this segment, Dr. Karen provides cutting-edge analysis and concrete tips on timely mental health topics. She has been featured multiple times and puts together short, informational segments that endorse good mental health practices. Dr. Karen speaks with authority on many personal issues and their impact on dating, marriage, divorce, and family. This unique segment raises the public’s awareness of mental health issues and provides constructive tips for anyone unable to seek professional help on their own. For the past few months, Dr. Karen has shared her insights with a television audience and inspired many individuals to improve their relationships with themselves and others. She said she hopes her segment continues to inspire people to change their lives and combat the negative stigma associated with going to therapy to work through personal challenges. Whether she’s informing viewers in five-minute video clips or counseling clients in private therapy sessions, Dr. Karen’s compassionate and knowledgeable guidance prepares people to make decisions in their love lives. She prepares them to maintain healthier relationships by understanding the motivations behind their actions and emotions. Throughout her career, Dr. Karen has impacted the lives of her clients, inspiring them to become more confident and secure in their relationships. Now she hopes to extend that influence by regularly appearing on TV. By appearing in news segments, Dr. Karen has positively influenced people from all walks of life. So far, Dr. Karen has received nothing but positive feedback from the viewers, producers, and editors of her mental health news segment. Her passion for the subject shines through as she gives clear advice and offers simple takeaways to help people change their lives. Dr. Karen’s private counseling in the office has assisted many singles, couples, and families in the New England area. Her client-centered services equip them to work through challenges in their lives and reach their relationship goals. In the coming years, Dr. Karen told us she intends to continue sharing her therapeutic advice on as many platforms available to her because she believes that the right knowledge can empower individuals to make their lives better. The more she can spread the word about the benefits of therapy, the better off everyone in the dating arena will be.